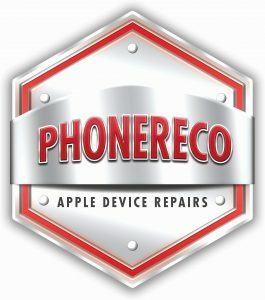 We are proud to introduce a new repair service called „PhoneReco” which is entering the (electronic repair) market and making its first steps as an independent company. Having cooperated with local shops (for quite a while) and being encouraged by numerous successes, we have decided to make a step further and introduce ourselves to the grand public. We are a small team full of passion to electronics and drive to self-improvement. We have been praised and well known to the electronic repair environment, and yet, we have been anonymous to you. We would like to offer our help with various problems with iPhones, iPads or MacBooks. We specialize in Apple motherboard repairs, micro soldering of components and reballing IC’s. 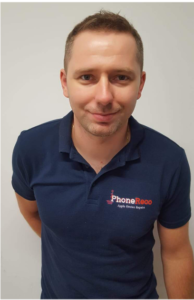 We have a wide range of knowledge and skills necessary to tackle any problem connected with your devices. Our skills were gained throughout years of practice, learning and devotion. All of this has led us to this point where we have an appetite to become independent and feel confident enough to compete with the best! Samples of our abilities are showed on the right and in our gallery. We believe that being fair and honest are the key principles while doing our work. We are aware that no one is inerrant however due to our tenacity and determination we have been extremely successful. We would like to thank you for entering our web page and hopefully we will be able to help you. Our Aim: makes your day !